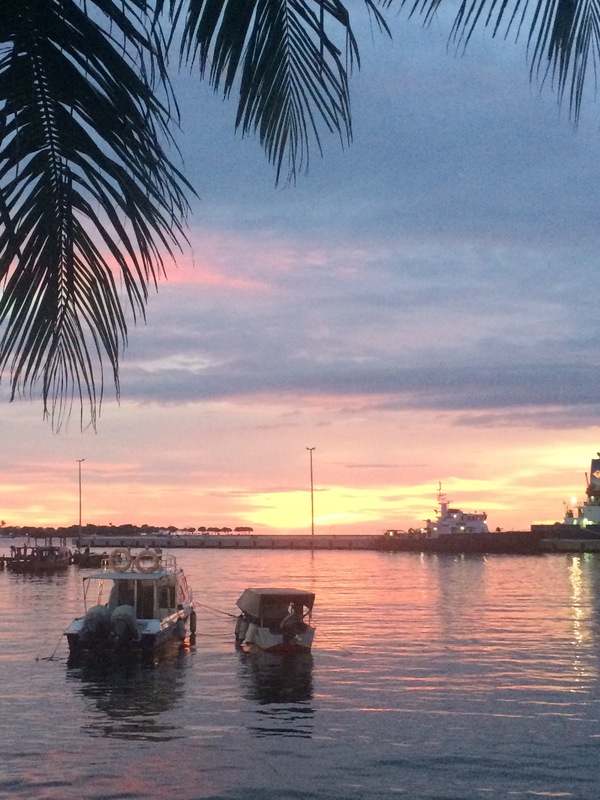 Last week, I stayed in Jakarta for one week. I had three opportunities to make my speech. Two were for Indonesian in Bahasa Indonesia and one was for Japanese in Japanese. In March 2, I was invited by Jakarta Branch of Indonesian Handicraft Exporters and Producers Association (ASEPHI) as a speaker to talk about SME’s export promotion and potentiality of market in Japan. I explained the change of Japanese market from Yen appreciation to the depreciation that did not so good for export from Indonesia to Japan. However, if the target was clear as goods for the aged, women, and Indonesian original ones. I recommended combination strategy of OEM products from Japanese buyers and Indonesian original ones. To realize this, I suggested the good collaboration between Indonesian side and Japanese side. In March 4, I talked about current situation of the Jokowi administration for Japanese businessmen in the Indonesia Watch Seminar by JAC Recruitment Indonesia. This was in Japanese and I gave some positive and negative signals of Indonesia. 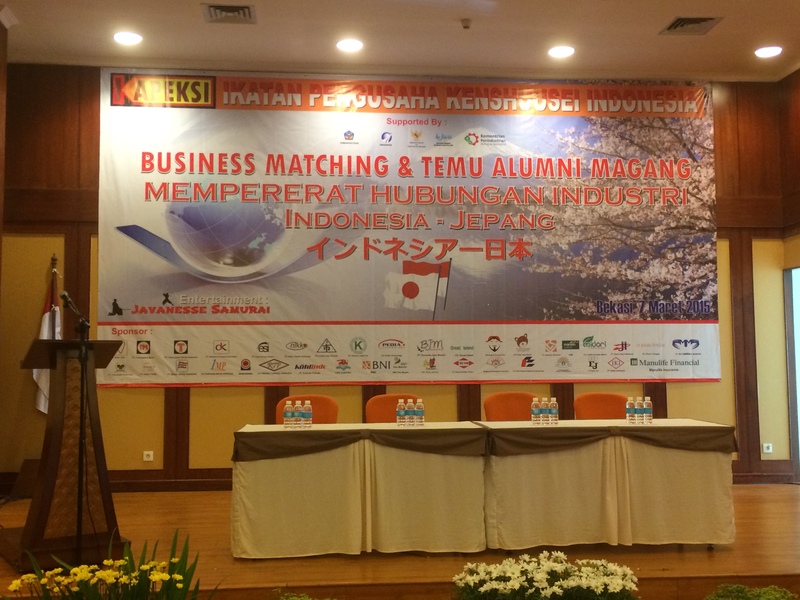 In March 7, I was invited to do keynote speech by Ikatan Pengusaha Kenshusei Indonesia (IKAPEKSI) or Association of Indonesian Businessmen who were trained in Japan. They were sent to Japan via IMM Japan and became businessmen after coming back from Japan to Indonesia. IKAPEKSI was established by their own initiatives without any support from Japanese side. 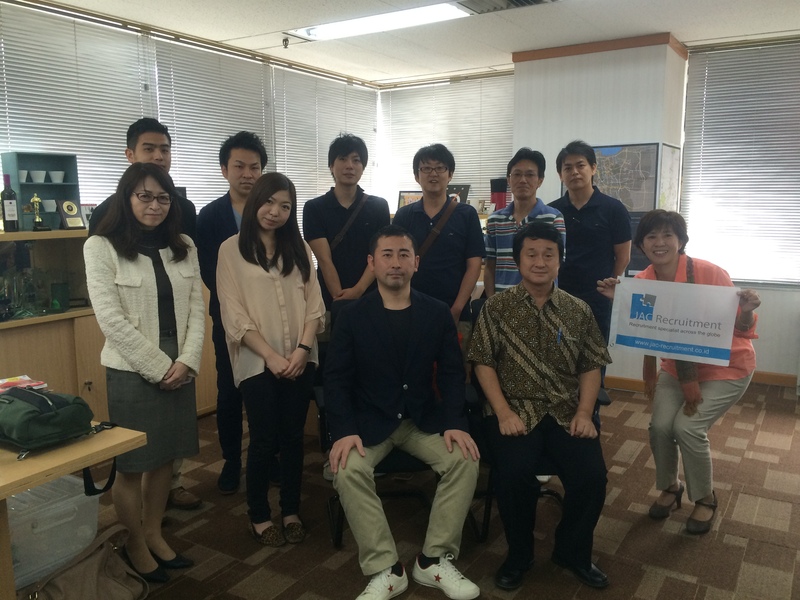 Maybe this is the first organization set up by alumni of IMM Japan trainee in the world. They do not want to get financial support from the government of Japan and of Indonesia, but want to be good business partner to Japanese side. 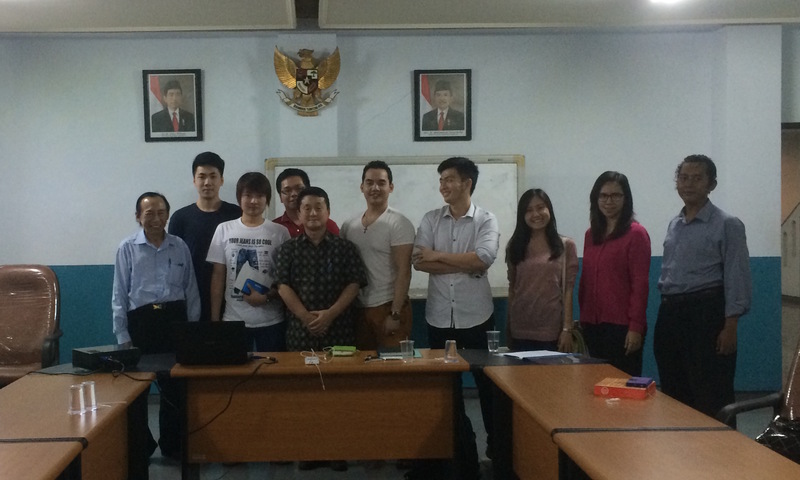 Under cooperation with Ministry of Labor Force, Indonesia, only no-problem alumni of IMM Japan can be the member. Members of IKAPEKSI were recognized as good graduates from training in Japan and the Government of Indonesia wants to improve the quality of overseas trainee by using the existence of IKAPEKSI. I became the advisor of IKAPEKSI based on their request. I feel it is very honorable for me as a Japanese because it is the sign of their trust to me. The situation of Kenshusei in Japan will be more complex and has not only positive image but also negative one. I hope ex-Kenshusei in IKAPEKSI will make good reputation of Kenshusei with many success stories to promote more positive image, and will make a role to deepen Indoensia-Japan relationship in all regions in Indonesia (because the member of IKAPEKSI scattered in almost all provinces and regencies/cities) through their activities. 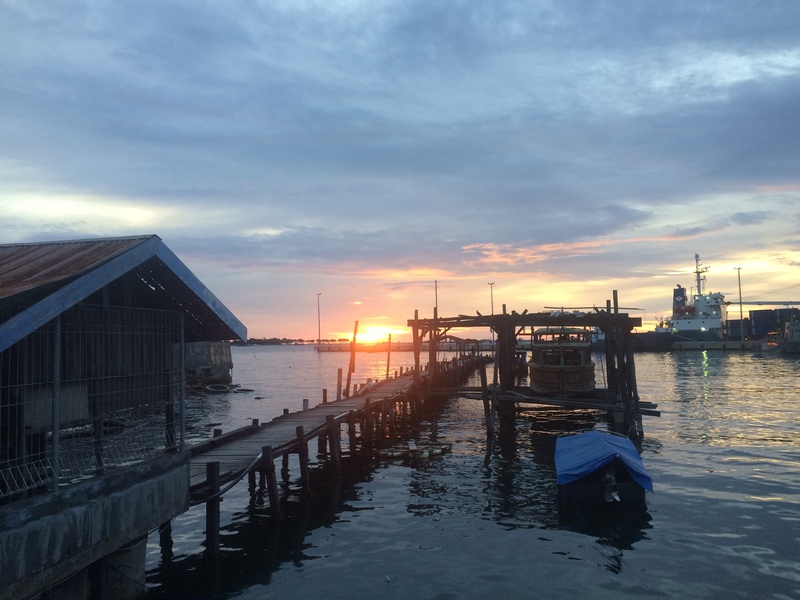 After finished our SME Workshop in Jakarta (14 January), I came back to Surabaya first in 15 January. Then, I started to bound for Yogyakarta at 7 am by train. 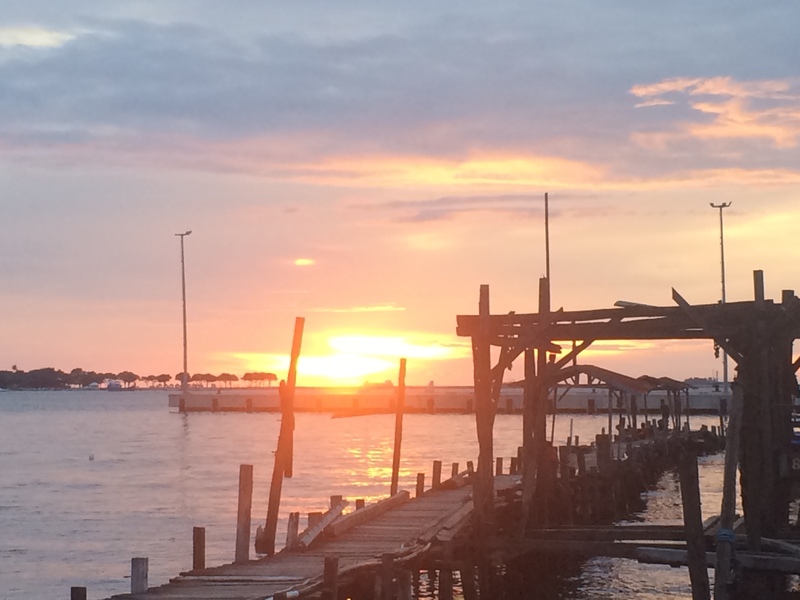 Why must back to Surabaya first? I could not directly go to Yogyakarta from Jakarta because of bureaucratic administration. Anyway, I conducted series of interview to emerging local companies targeted to middle class or volume zone market in Indonesia. In Yogyakarta, I visited and interviewed Super Wash (laundry franchise chain) in 16 January, and Kemitraan A Swalayan (mini market establishment and management consulting) in 17 January. 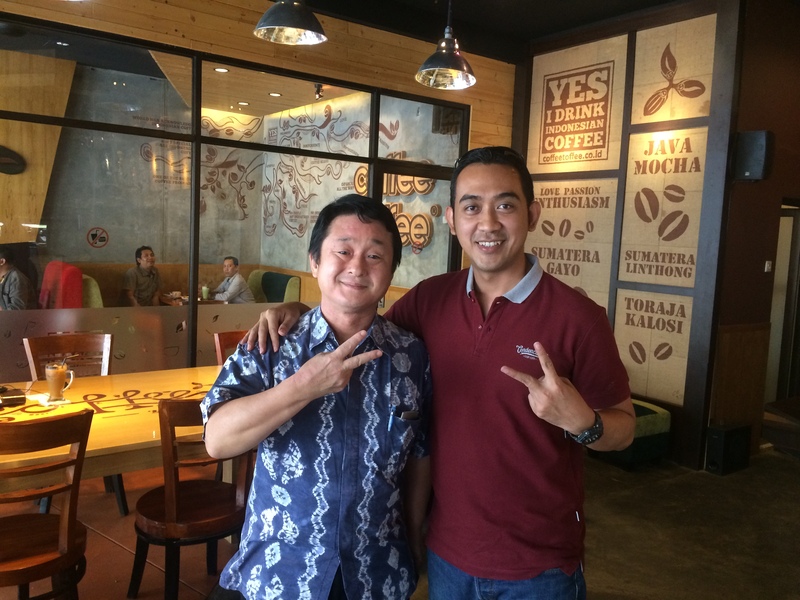 After coming back to Surabaya, I interviewed Coffee Toffee (cafe franchise chain) in Surabaya in 20 January. With Mr. Lidi (President Director) and Mr. Ali (Manager) at office of Super Wash, Yogyakarta, 16 January 2015.
with Mr. Putut, Mr. Sulis and Mr. Danan (Managers) at office of Kemitraan A Swalayan, Klaten, Yogyakarta, 17 January 2015.
with Mr. Odi (President Director) at Coffee Toffee, Klampis, Surabaya, 20 January 2015. I could get many interesting information from them and some key points why they have emerged their business in local areas. I will compile the interview results for survey reports to JETRO Jakarta. 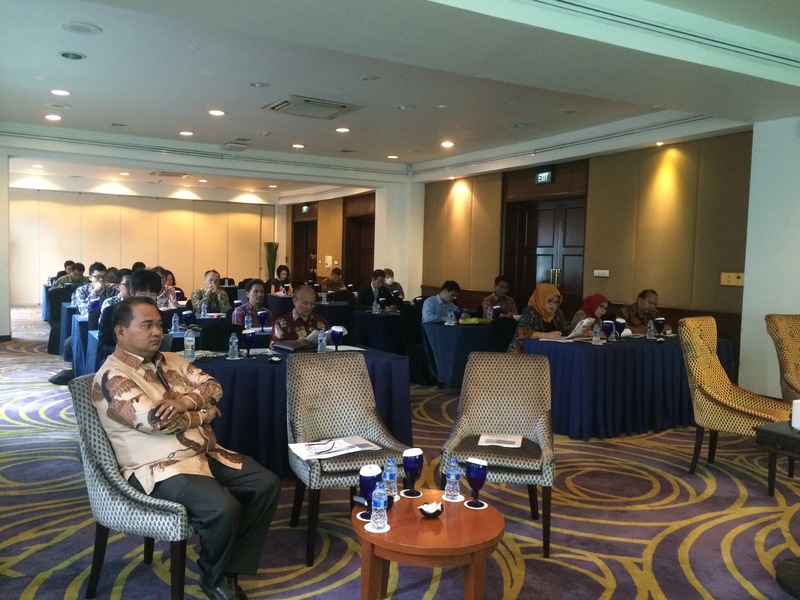 Last week, we conducted a Workshop on SME policies in Indonesia at Gran Melia Jakarta in 14 January 2015. This workshop was held to feedback the results of our survey (JERI team) on 17 local SMEs on automotive parts supplier in October-November 2014, and to discuss about policy implication for SME development in Indonesia. This Workshop was attended by about 40 participants including Ms. Euis, Director General of Small & Medium Industry, Ministry of Industry, Mr. Meliadi Sembiring, the 7th Deputy Minister of Cooperatives and SME, other two Deputy Ministers of Cooperatives and SME, a member of KIKO (Cooperatives of Automotive Parts Industry), Yayasan Darma Bakti Astra, KADIN Indonesia, APINDO, Bank Indonesia, Jakarta Japan Club (JJC), JICA, and JETRO. Based on our survey, we tried to focus on two main issues on SME development challenge. Those are marketing from SME to big companies, and needs of financial support by the government. We threw our two points to participants for further discussion and we could get much new information and many kinds of opinion about SME development in Indonesia in the near future. We hope this Workshop will be useful for participants and especially government officials to deepen ideas for SME development policy in Indonesia. Merry Christmas for my Christian Friends! Pray for our happiness and peace of the world. It was four days before. Suddenly I was requested to give a lecture at IEU, Surabaya. The theme is Business Communication with Japanese Businessmen. 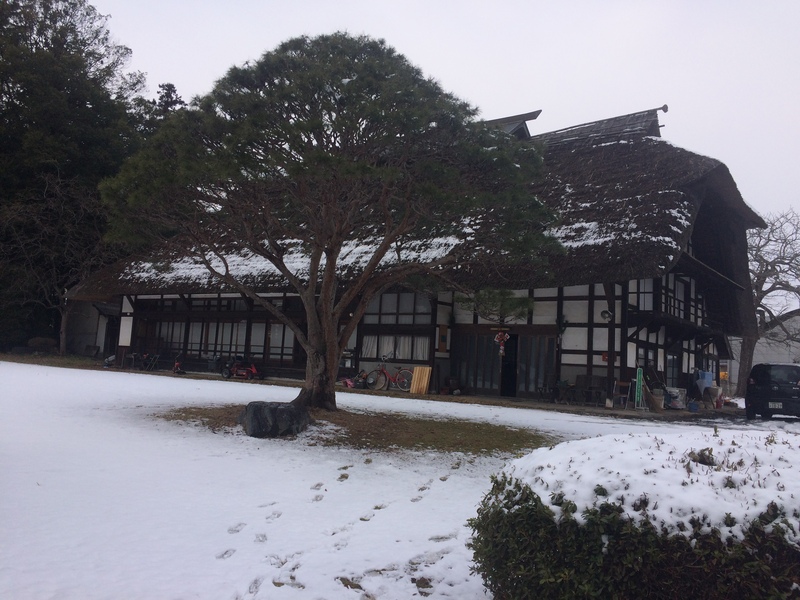 I gave the lecture in 8 December night. At first, only 4 students were presented, even though I heard 15 students. At last, 8 students participated my lecture. This is very impressive and good opportunity for me to learn the diversity of university students in Indonesia, maybe as same as in Japan. They are very charming students and I got many friend request by Facebook and LINE after my lecture. In Japanese, December is called “Shiwasu”, which means that teacher is very busy because he/she must always run. As it means or not, I will do business trip almost every week to Jakarta in this December 2014. 2-4 December, 9-10 December, 15-16 December, and 21-22 December. Maybe before leave to Tokyo in 27 December, I will be in Jakarta. In the first business trip in 3 December, I gave a lecture about Indonesian economy to Japanese guests from Tokyo, based on request from JAC Indonesia. They are young and want to make a business of financial service in Indonesia. After that, I met a consultant of energy business venture to discuss about new technology application to Indonesia. It is very fruitful and I got much implication on direction of Indonesia-Japan cooperation to create new innovation together. Fortunately, we could meet Prof. Dr. Ir. Bambang Subiyanto, Vice Chairman of the Indonesian Science Academy (LIPI), to continue our interesting discussion with having dinner together. 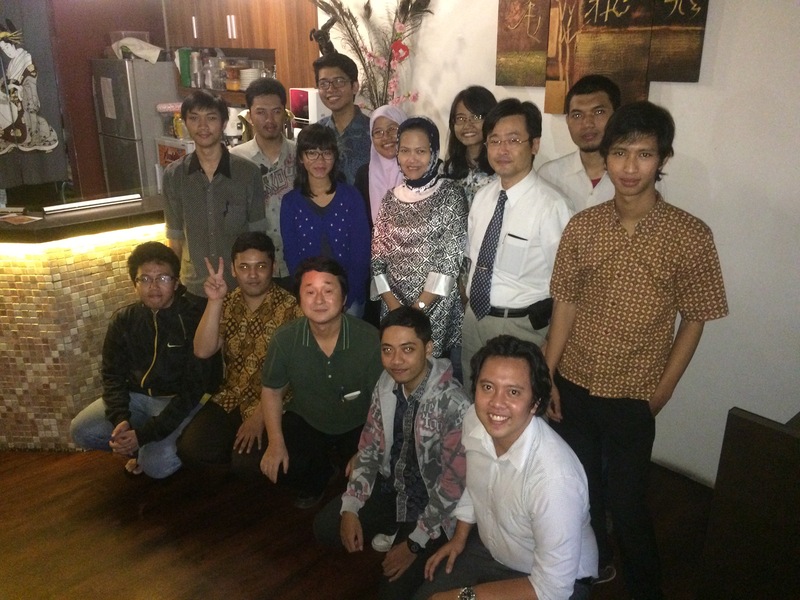 After interesting dinner, I went to a hotel located in North Jakarta with Prof. Kozano from Aichi Prefectural University to meet our students of Gadjah Mada University (participants of Japan on Track Program) who have started their intern activities in Japanese companies. They were fine and very positive to participate the intern program. I hope they will get much meaningful experience to prepare their working life in the near future. 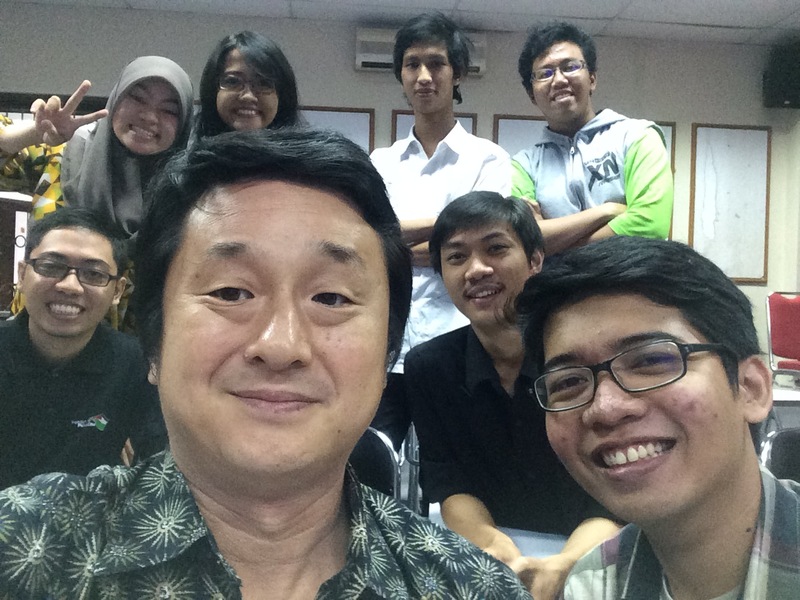 After one month ago, I had a chance again to meet participants of Japan on Track, a re-education program of Japanese language, in Gadjah Mada University (UGM), Yogyakarta, in 27 November 2014. This time, I conducted a discussion workshop on “For what you study in UGM?”. After this simple question, participants discussed and made presentation, for related several other questions, too. 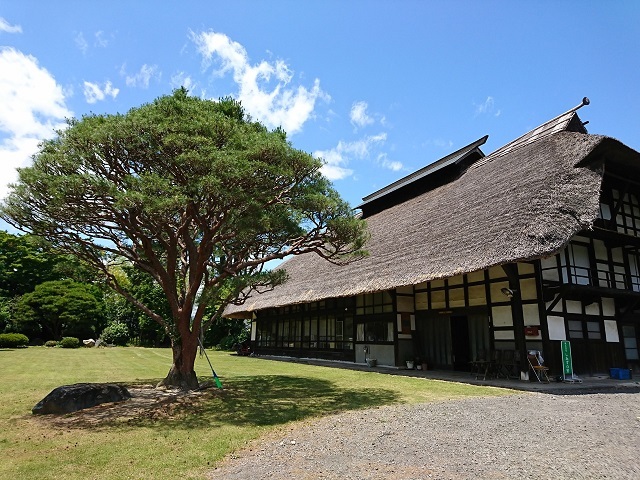 Even if only seven students were present, their discussion was very interesting and maybe they could get opportunity to think about relative deeper consideration on relation between theory and experience, between managers and workers, and company and workers on job-hopping phenomena. Unfortunately because of time limitation, another discussion theme as “Work for What?” and “Live for What?”. I hope next opportunities. 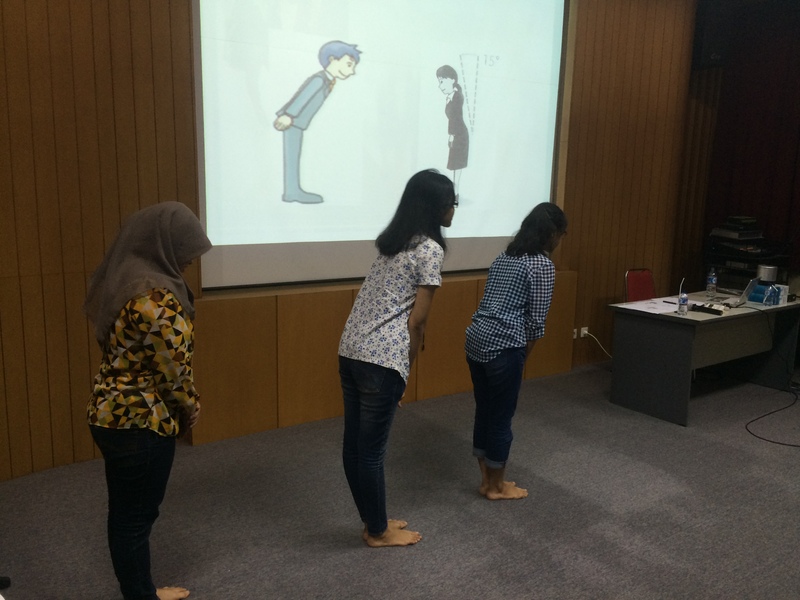 In the afternoon, they learnt basic of business manner in Japanese company, instructed by a Japanese HRD company in Jakarta, with practice of standing, sitting and bowing. I remembered many same way in politeness and courteousness seen in Indonesia, as in business manner in Japan. Participants looked like fun and enjoyed this lesson. 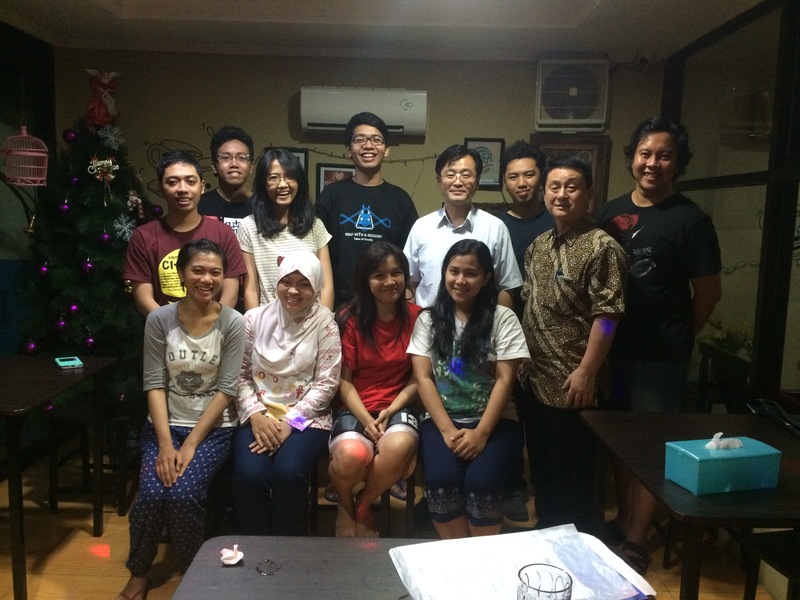 Today (28 November), we had farewell lunch with JoT participants at the Hikari Japanese restaurant in Yogyakarta, with Prof. Kozano from Aichi Prefectural University. 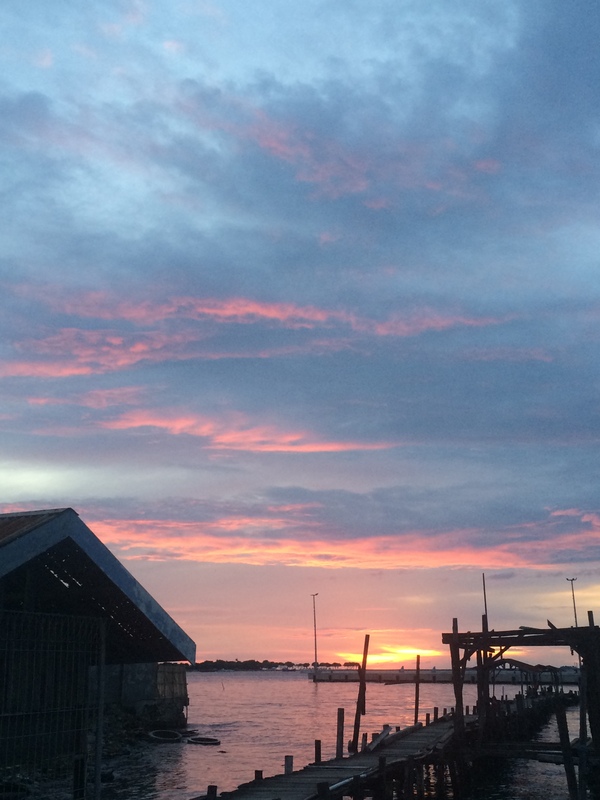 Thank you and see you next time, my good friends.